It's been a manic weekend since the clambake in EDSA. Glad that's over. Here's my spread at the Moonleaf Tea ParTea last Saturday. I would like to thank the cool cats who said "Hi" grabbed a card or shopped at the pop-up shop in Gitana. Major thanks to the lovely rockstars behind the Partea, Janina & Ynna! And to neighbors Pat of Ready to Roam, Denise of Simone's Closet, Jervy of Forever Ugly, & Ira of Hickory Duck. Didn't make it last Saturday? Not to worry you can catch up with Marz Today on upcoming events. limited stocks and demos throughout the afternoon until closing. 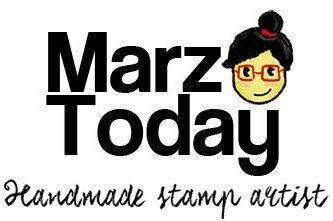 For existing ordered stamps you may message me to pick-up your stamps on either dates.